The country's largest carmaker Maruti Suzuki India today reported 2.96% increase in net profit at Rs 18 billion for the third quarter ended December 31. The company had posted a net profit of Rs 17.47 billion for the same period of previous fiscal. Total income during the quarter under review stood at Rs 195.28 billion as against Rs 197.93 billion in the year-ago period. During October-December period this fiscal, total vehicles sales grew 11.3% at 431,112 units. Domestic sales stood at 400,586 units, a growth of 12.4%, while exports were at 30,526 units, MSI said in a statement. The company said its board in its meeting today discussed and approved a revision in the method of calculating royalty which would result in lower royalty payments for new model agreements starting with the Ignis. "This would be implemented after approval by the Board of Suzuki Motor Corporation," the statement added. MSI said its profit increased by 2.96% only due to increase in effective tax rates and lower non-operating income due to mark-to-market impact on the invested surplus, compared to last year. Operating profit increased by 22.1%. 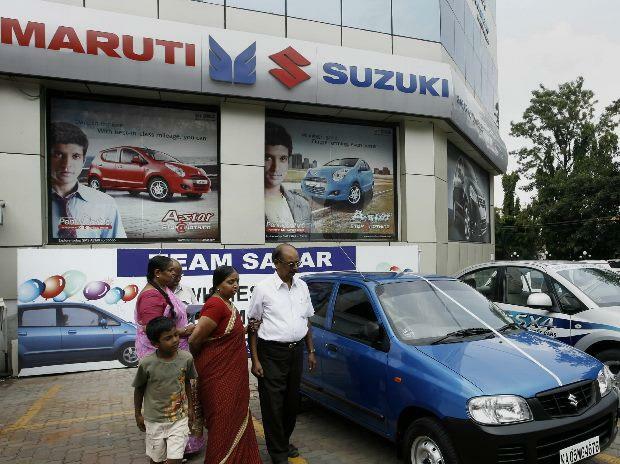 Shares of Maruti Suzuki India ended the day at Rs 9,277.20 apiece, down 1.60% from the previous close on BSE.